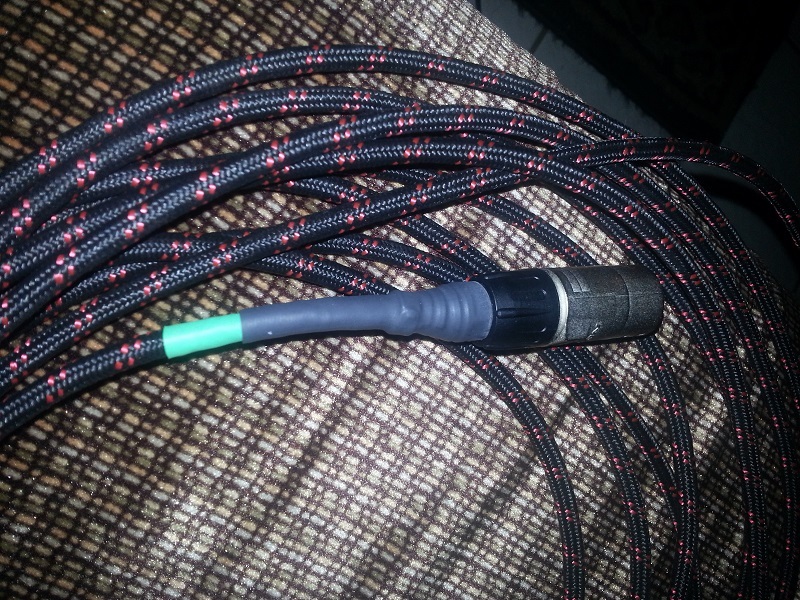 15 ft Braided VDI cable for sale $35. It's very flexible unlike the plastic ones! tested with jvt-69 and a HD500. - Works great! 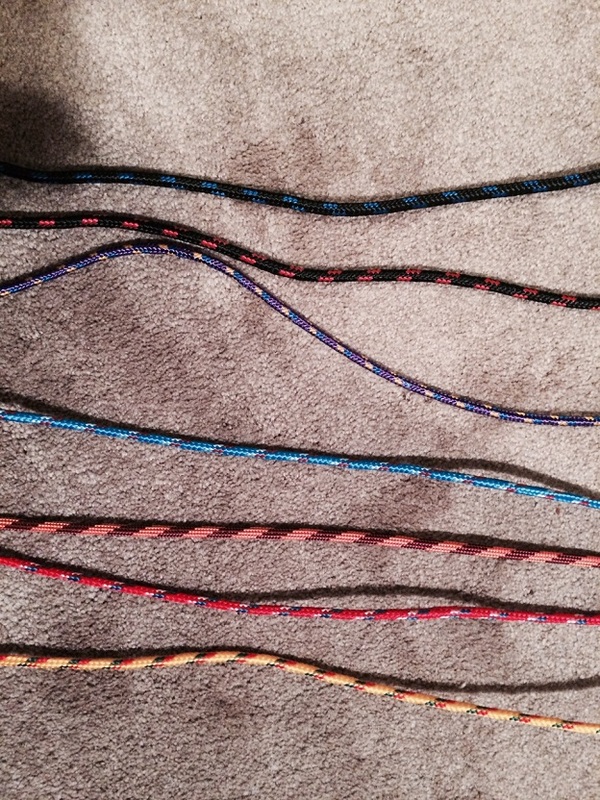 I can also make custom lengths (up to 25') if you would like a longer cable! Im from brazil, can you send me? I Will send to Brazil the cheapest Shipping to there is about $20.00 US so the total would be $55.00US Do you Use Pay Pal ? Free shipping in the US!! I need 1 measure 9ft 107/64in (3meters) for the U.S., how much? How much for 15 footer shipped to Canada? I ordered one of these and it's GREAT. Way better than the VDI you can get from L6 and others. Highly recommend! How do I order one from you?????? Very cool. I may order 2 15 footers and 2 25 footers. What part of Brasil. I just left sao paulo yesterday. Will be back in october in Belo Horizonte, sao paulo and probably Rio. Good to see a JTV down there! I prefer a short cable as I play with the pod in front of me. How much is a 8 feet cable plus shipping to Hong Kong? Thanks. I have made a few of these VDI cables and recommend that you add some structual strain relief using some inexpensive heat shrink tubing. This substantially improves the durability of the cable without adding significant cost or effort. Just a follow-up to my previous post with the reason I believe this additional strain relief is beneficial. Underneath that very cool braided sheath lies a stranded, PVC insulated cat-5E Ethernet cable. It's good that the individual conductors are stranded, since stranded cables usually offer better flexibility than solid conductors. Additionally, the RJ45 terminators have a more flexible and complete connection to stranded wires than solid wire. However, the cable's PVC outer insulator is susceptible to permanent deformation (stretching) every time the cable is forced to bend sharply near either connector. The additional strain relief afforded by the heat shrink tubing helps to distribute any applied force over a larger area, effectively reducing the potential for damage. The Neutric etherCON RJ45 connectors do include a small strain relief "boot", but IMHO it is not sufficient for a guitar cable application. For context, most Ethernet patch cables are used to connect devices that do not move around that much, if at all. Thus, the use of PVC is justified for network cabling as it helps keep costs low. On the other hand, a guitar cable is plugged, unplugged, wrapped, and unwrapped over and over during its lifetime. Additionally, most guitarists are not what I would consider "stationary" objects. Most standard guitar cables use some type of rubber-like insulator that resists permanent deformation, but still utilize heat shrink tubing near each 1/4" jack for added durability. Again, this is just my opinion and not intended as any type of criticism. Hopefully the community will find my suggestion and explanation useful. Cool. Never been. Near sao paulo I have been to campinas and whatever cities TV Vanguarda and SBT are in. . .lol. I love Brasil and gained 10 pounds eating at Fogo De Chao and other Churrascaria's for two weeks. I also had a lake placid blue 69 before I replaced the body with a metallic purple one, the neck with a warmoth and swapped all the pickups. My city is where the tv vanguarda is , in the valley of paraiba, you're American? came to spend vacation in Brazil? Yeah, 100% gringo. I travel to Brasil for work. I sell equipment to TV Stations. Vanguarda has two. So then I have been to that town a few times lol. Last year I lived in sao paulo for 3 months in moema. The year before two months and the year before one month in Itaim Bibi. This year I have an employee in Brasil so only made one trip so far but will be back in october. You don't see too much line6 stuff in Brasil. Apparently their distributor raises prices to where they cost way more than competition. Last year I had my JTV, Pod HD Pro and Axe FX II with me in sao paulo. This year I am in Medellin for three months and brought it all down again. I love Brasil. Great food. Great Music. Stunning scenery like Corcovado, Pau De Azucar and Foz. . . .and the women are not bad either! I only have about 30 feet of the red cable left and right now can not order it I do have this blue cable on order and is due in on 9/13... So if you Want Red then need to order quick if you want a blue Then I will not be able to ship till after the 13th. No criticism taken, Thanks for the Idea while I have never had one go bad if someone wanted me to add this shrink tubing to the ends please let me know.. What size tubing did you use? I believe the green tubing has a 1/4" diameter and the black tubing has a 1/2" diameter. The tubing is fairly inexpensive, so I recommend you get an assortment of sizes and experiment with what works best for your method of assembly. I use the hot-air "wand" from my SMD rework station set to 215 degrees C to shrink the tubing, but any hot-air gun should work. The new Blue cable is in so if anyone one wants that color they can get it! Do they make Purple color cable? How about the tweed looking color? Ordered a 15' cable Wednesday and it was in my mailbox Monday. Nice! Cable is great - very sturdy and looks cool too. I ordered one of Dunkin_Dal's cables and I'm real happy with it. There's shrink wrap on the ends, very classy braided jacket, quality end connectors, Very Nice! Got my red cable, luv it! Nice work Dallas!